2010:Doctor in Physics,University of Vigo, Spain. 2008:MSc in Applied Physics, University of Vigo, Spain. 2005:Graduation in Physics,University of Vigo, Spain. From November/2017 to present:Post-doc researcher Researcher in Aveiro Institute of Materials (CICECO), Department of Chemistry, University of Aveiro. The post-doc position is under the project CENTRO-01-0145-FEDER-000005: SusPhotoSolutions: soluções fotovoltaicas sustentáveis. Desenvolvimento de concentradores solares luminiscentes (LSC’s). -Activity: Unravelling the Phase Diagram Behavior of Amphiphilic Compounds in Water Solutions by Molecular Dynamics Simulations. Study of the Enhancement of Extraction Processes of Bioactive Compounds from Biomass. Applications in Luminescent Solar Concentrators (LSCs). From August/2016 to November/2017:Post-doc fellowship in Aveiro Institute of Materials (CICECO), Department of Chemistry, University of Aveiro. The fellow was under the project with Ref. BPD Simulações de dinâmica molecular (MD) – PTDC/QEQ-QFI/4719/2014 in CICECO -Aveiro Institute of Materials. Project financed by national funds through FCT/MEC (PIDDAC) and co-financed by FEDER under the PT2020 Partnership Agreement. -Activity: Study of different anion exchange mechanism in layered double hydroxide materials by molecular dynamics computer simulations. Department of Chemistry, University of Aveiro. From April/2016 to July/2016:Post-doc researcher in FCUP, University of Porto, Porto. The post-doc research contract was under the project with Ref. FOOD_RL3_CI_QUIMAT_01 in “Sistema de Apoio á Investigação Cientifica e Tecnológica- Projetos Estructurados de I&D&I” financed by NORTE-01-0145-FEDER-000011 in “Instituto de Ciências, Tecnologias e Agroambiente” ICETA and CCDR-N “Comição de Coordenação da Região Norte”. -Activity: Coarse-grain molecular dynamics simulations of periodic mesoporous silica over a wide range of cationic surfactant concentrations. 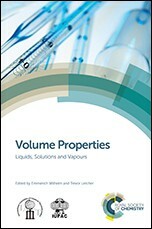 It has been obtained as a first time the complete phase diagram behavior of C16TAB surfactant in aqueous solutions and the effect of surfactant and temperature was successful tackled in which the phase transitions and coexistence lines matched with experimental estimates. From July/2015 to March/2016:Post-doc fellowship in Aveiro Institute of Materials (CICECO), Department of Chemistry, University of Aveiro. A post-doctoral research grant in the framework of project CICECO - Aveiro Institute of Materials (Refª. FCT UID/CTM/50011/2013) financed by national funds through FCT/MEC and when applicable co-financed by FEDER under the PT2020 Partnership Agreement. -Activity: The development of a computational framework for molecular dynamics simulations to study the ionic exchange between the layered double hydroxide (LHD) materials an anionic water solution. The candidate also carried out Grand Canonical Monte Carlo (GCMC) simulations with the new RASPA code to study the adsorption isotherms of different compounds in metal organic frameworks (MOFs) UIO-66, MIL-140A, MIL-140B, IRMOF13, IRMOF14, UiO-66-DUT and UiO-66-CF3. -Activity: Based on the previous coarse-grain model for silica/surfactant water solutions, the model was used to study the synthesis of MCM-41 materials following the same experimental steps by computer simulations. -Activity: The development of a coarse-grain model for silica/surfactant water solutions in the framework of the MARTINI’s model. New parameters were developed for the ionized and neutral state of the silicic acid molecule. This work demonstrates that the micelle growth is mainly driven by sphere-to-rod transitions among other important achievements in periodic mesoporous silica synthesis. -Activity: The development of a Monte Carlo code to study the carbon dioxide solid phase. Different models, namely TraPPE, Zhang, MSM and EPM2 were attempted. -14 publications in international peer-reviewed scientific journals with more than 200 citations overall. Germán Pérez-Sánchez has a H-index of 8. 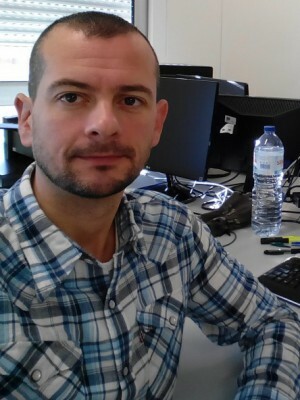 Germán Pérez-Sánchez is participating in 2 projects one as a co-supervisor. -6 oral comunications in national and international conferences. -25 Panel communications in national and international conferences. 1 MSc student and 1 post-doctoral researcher. N. Schaeffer, H. Passos, M. Gras, V. Mogilireddy, J.P. Leal, G. Pérez-Sánchez, J.R.B. Gomes, I. Billard, N. Papaiconomou, J.A.P. Coutinho, J.A.P. PCCP, 2018. -“Molecular Simulations of the Synthesis of Periodic Mesoporous Silica Phases at High Surfactant Concentrations” Szu-Chia Chien, Germán Pérez-Sánchez, José R. B. Gomes, M. Natália D. S. Cordeiro, Scott M. Auerbach, Miguel Jorge, and Peter A. Monson, P.A. J. Phys. Chem. C, 2017. -“Multiscale Model for the Templated Synthesis of Mesoporous Silica: The Essential Role of Silica Oligomers” G. Pérez-Sánchez, Szu-Chia Chien, José R. B. Gomes, M. Natália D. S. Cordeiro, Scott M. Auerbach, Peter A. Monson and Miguel Jorge, Chem. Mater., 2016. -“Evaluation of the GROMOS 56ACARBO Force Field for the Calculation of Structural, Volumetric, and Dynamic Properties of Aqueous Glucose Systems” Marta L. S. Batista, G. Pérez-Sánchez, José R. B. Gomes, João A. P. Coutinho, and Edward J. Maginn., E.J., J. Phys, Chem. B, 2015. -Fortran code programming and bash scripting in linux environment. -Gromacs for molecular dynamics simulations. All-Atom and Coarse-Grain level. -Molecular and crystallographic tools programs: VMD, Molden, Packmol, XCrysDen, Avogadro, among other open source programs. -RASPA package for Grand Canonical Monte Carlo simulations and molecular dynamics simulations. -Teaching task granted by the Secretary of State for Universities and Research, Ministry of Education and Science within the university training program for PhD. students. Physics degree, Faculty of Sciences, University of Vigo. -Visiting teaching professor at the University of Vigo. 2013, JOURNAL OF CHEMICAL THERMODYNAMICS, 65, 131-137. 2007, FLUID PHASE EQUILIBRIA, 258, 1, 7-15. 2015, 326-344. London, UK. : ROYAL SOC CHEMISTRY. 2006, 132-143. 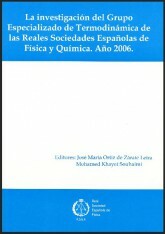 Madrid, Spain: Real Sociedad Española de Física. Madrid. 2006.